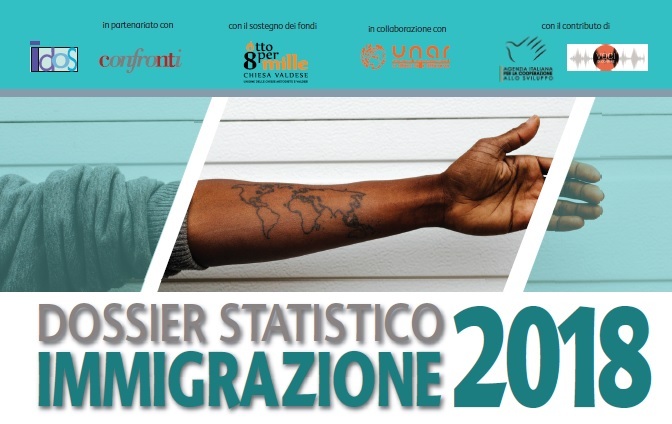 Rome (NEV), October 26, 2018 – The official presentation of the 28th edition of the Immigration Statistical Dossier was held in Rome on October 25th. After the introduction of Luca Anziani, vice moderator of the Waldensian Board, the contents of the dossier have been illustrated with a video presentation and commented by Luca Di Sciullo, president of the IDOS Study and research center; Alex Zanotelli, Combonian missionary father; Aboubakar Soumahoro, leader of the grass-roots Union; Tatiana Esposito, director general of the Immigration and integration policies department of the Ministry of Labor and Social Policies; Claudio Paravati, director of the Study centre of Confronti and Antonio Ricci, vice president of the IDOS Studies and research center. The conclusions have been entrusted to Luigi Manconi, director of the National Anti-racial discrimination office (UNAR). Aim of the Dossier, whose realization is due to the 8 per thousand funds of the Methodist and Waldensian churches and is supported by several partnerships, is to provide a correct and complete information on the migratory phenomenon. Among the data reported, it emerges the ever-increasing share of foreign students born in Italy, the so-called ‘second generations’, who often recognize Italian as their mother tongue, consider themselves as Italians under every respect and live as their Italian peers, sharing everything with them except citizenship. The Dossier was presented at the same time in Milan and in Turin, with similar initiatives.